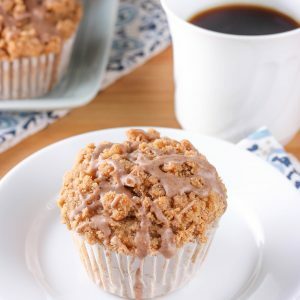 These tender Pear Chai Muffins are lightly sweetened, filled with fresh, juicy pears, topped with a rich, buttery streusel, and drizzled with a spiced glaze! Do you ever have weeks where you’re constantly thinking it’s a day later than it actually is? I don’t know if it’s the nice weather that has me internally wishing that it’s closer to the weekend, so I can enjoy the weather or what. But, I’ve been having one of those weeks! Every day this week I’ve had a moment where I’ve thought it was a different day, causing a bit of panic a couple times thinking I’d missed deadlines! Thankfully, I have a couple of these muffins left to help make the last couple of days before the weekend a little better! 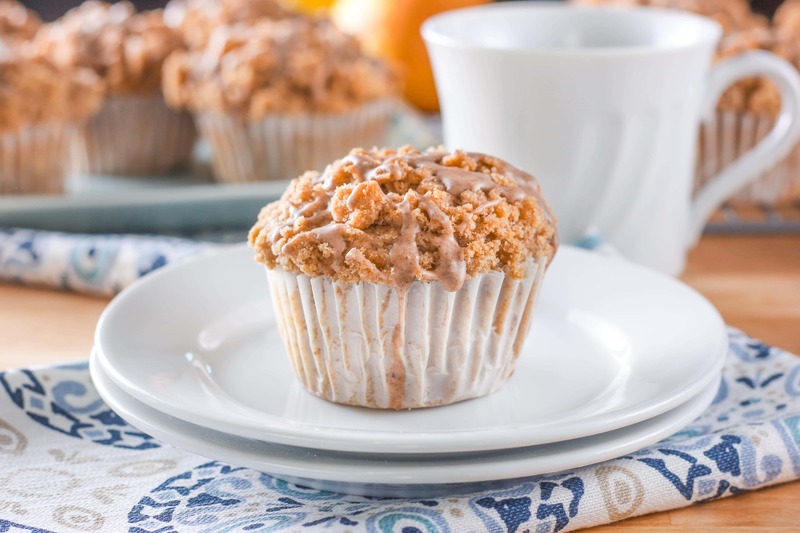 With a base filled with warm chai spices, these pear chai muffins are bursting with fresh pieces of pear! Ever since making a honey pear crisp last month I’ve been trying to enjoy pears in more ways. Oh, and they’re whole wheat. Don’t worry. You won’t notice. They’re still soft and tender! 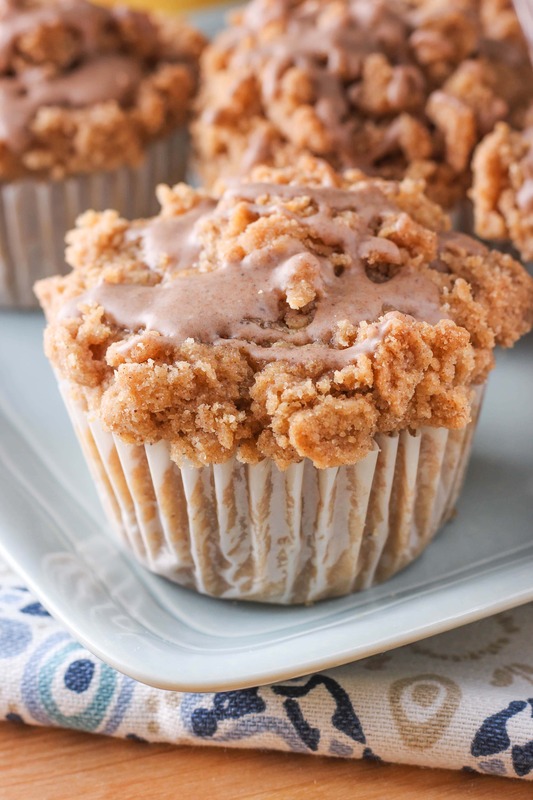 Rich, buttery, and not too sweet, a layer of streusel tops these muffins. 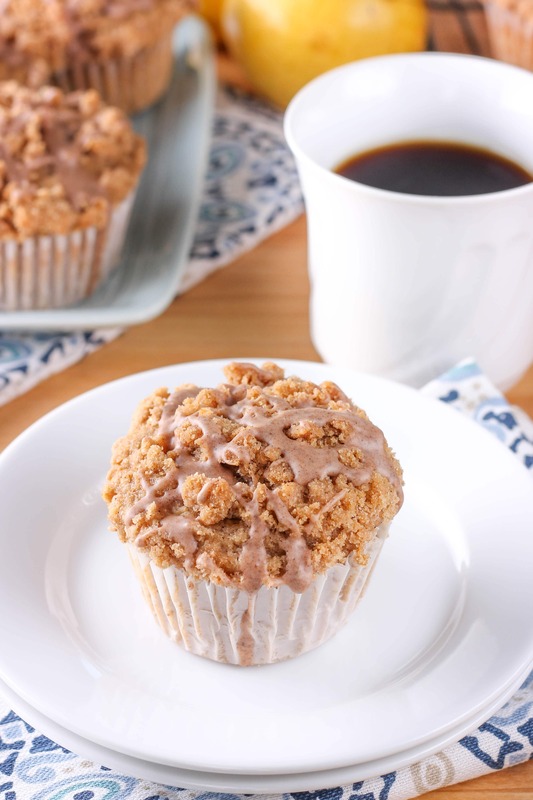 A sweet drizzle filled with even more of the same chai spices finishes off these irresistible muffins. While we loved them straight from the oven still warm, we found that we liked them even better the next day when the flavors had a chance to blend. This is great since we don’t finish a batch of muffins in a day around here! 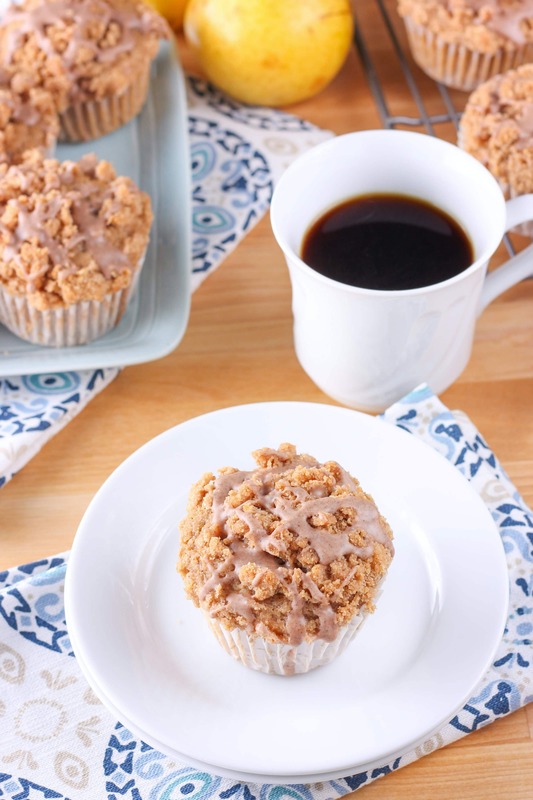 Whether you need something to help you make it to the weekend, or you just like an easy option for breakfast, these pear chai muffins are sure to brighten your day! In a large bowl, whisk together flour, sugars, baking powder, salt, baking soda, cinnamon, nutmeg, ginger, cloves, cardamom, and black pepper. In a separate bowl, whisk together milk, yogurt, egg, and vanilla extract. Add wet ingredients to dry ingredients and stir until just starting to combine. Add in melted butter and stir batter until just combined. Gently fold in pears. Divide batter among 12 muffin cups. Depending on the size of your muffin tin, each cup will be ¾ full to almost completely full. In a small bowl, whisk together flour, brown sugar, and cinnamon. Cut in butter until mixture resembles coarse crumbs. Top each batter filled cup with a heaping tablespoon (equal to about 2 tablespoons) full of mixture. Lightly press mixture down into batter. Stir together confectioner's sugar, cinnamon, nutmeg, allspice, and cardamom. Stir in 2 teaspoons of milk until combined. Add an additional teaspoon of milk as needed to reach desired consistency. Drizzle over cooled muffins. Allow glaze to harden and serve. We were out of town all last week so I feel like I’ve been completely off this entire week because of that! haha ANYWAY these muffins sound perfect!